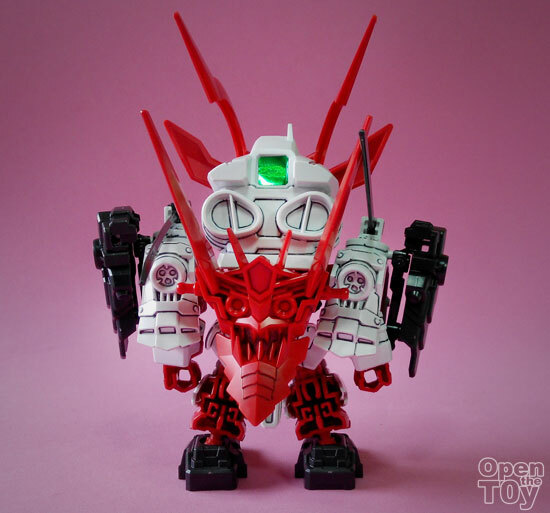 It has been sometime since I review Gundam and today I would share with your this cute Sengoku Astray Gundam! 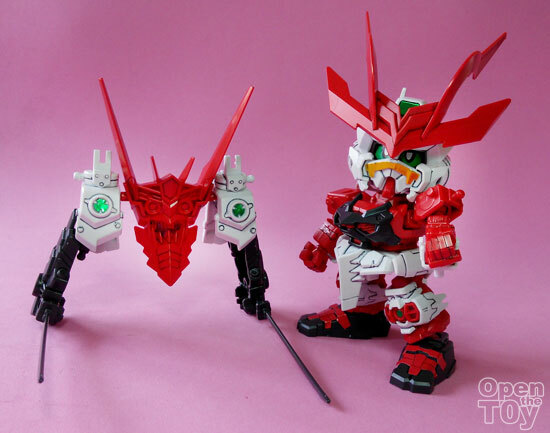 This Gundam unit was actually one of the unit in the series Gundam Build Fighters series which would be on Singapore Okto Station every Saturday. However in that series it was not in BB or SD grade like this is. 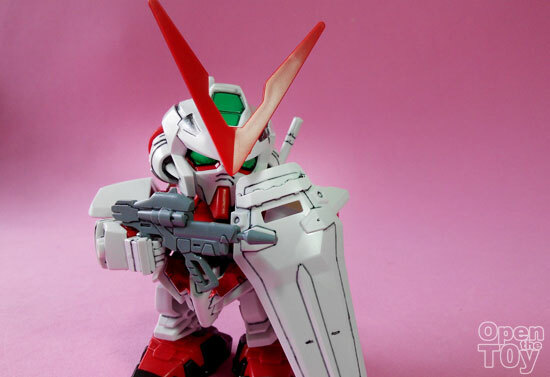 No matter as this BB grade look more cute with all the necessary feature of that Gunpla. 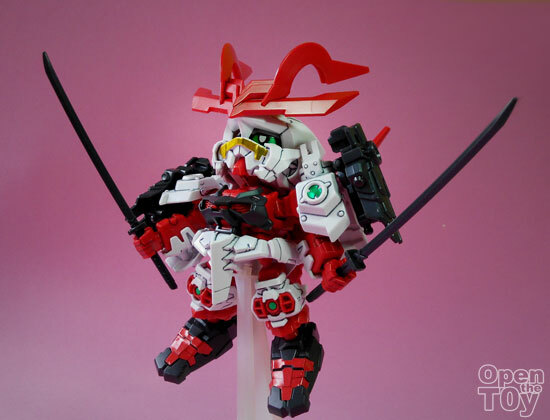 The weapon of choice for this Gunpla as the pilot was into Samurai prefer Katana as main weapon. Or allow his additional arms holding the sword. That is to say, he have total of 4 arms!! 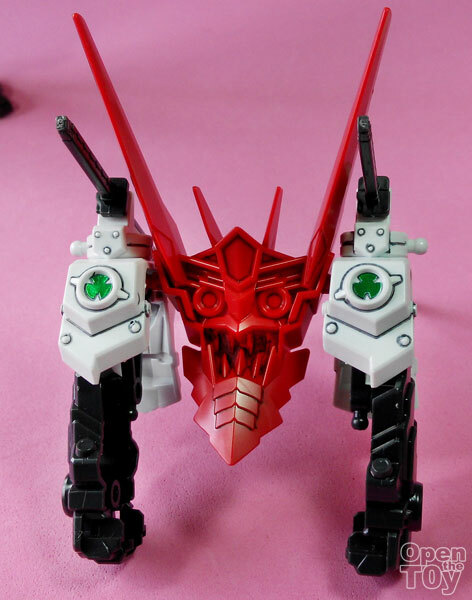 He also comes with a Shield and with part of his armor remove can form an additional puppet unit. This unit is formed by the Ogre's shield, his shoulder plate armor and additional arms. 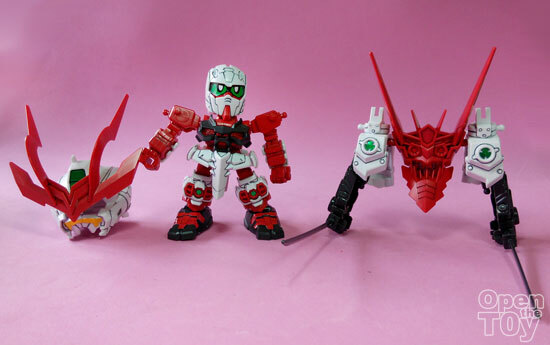 It's really cool as you get like 2 units that look great as a team. 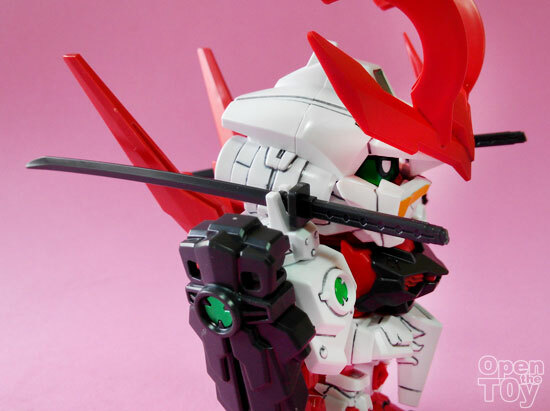 That being said, you can even remove the helmet! Isn't it great? 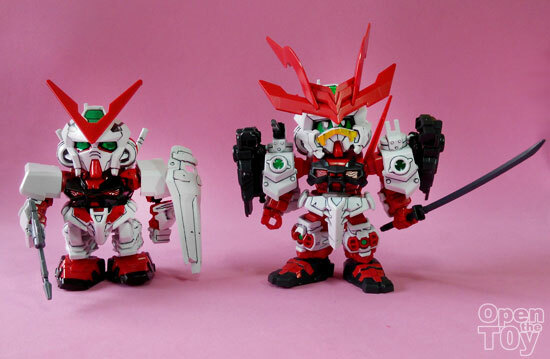 Here is a comparison between the BB Astray that came out some time back with this Senshi Sengoku Astray Gundam. 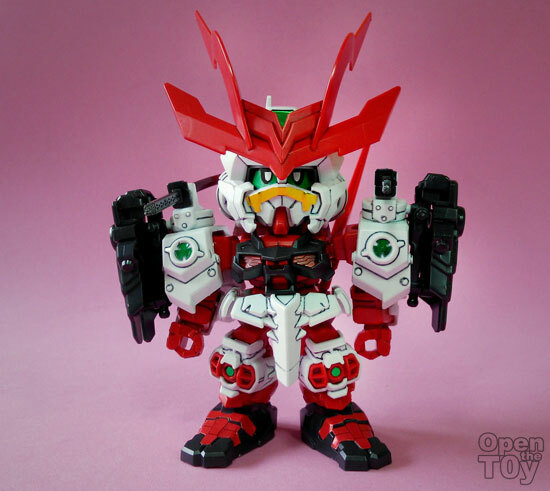 You can see that this version is bigger in size and having more good looking accessories. Even standing head to head, you notice the height different. 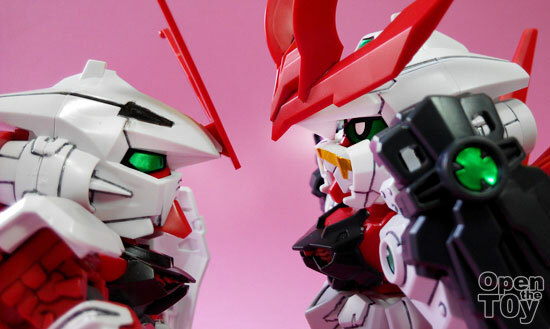 I was wondering, if these two Gundam units have a face off, who will win? 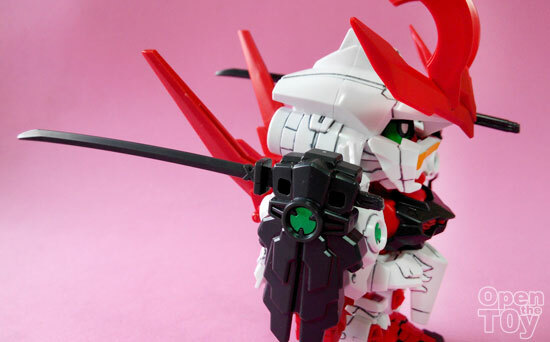 For this Astray Gundam would more on the advantage of range weapon and having a shield to buffer range attack. 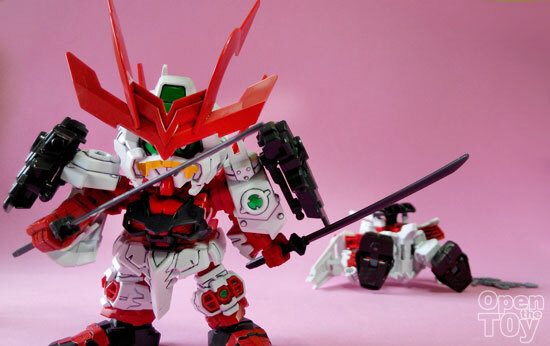 But for Sengoku Astray Gundam, it is all about agility and speed to get close to the opponent to slide them into pieces. He will be really destructive if he get close. 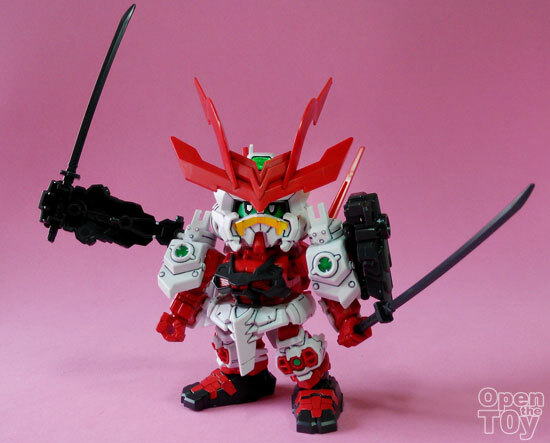 So for that Sengoku Astray will win! 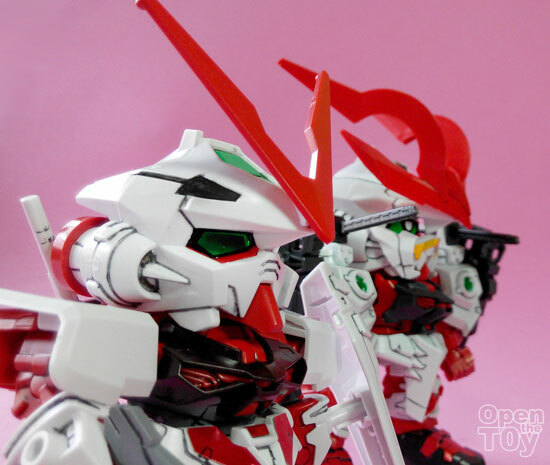 If you are a Astray Gundam fan, this unit is a must have! 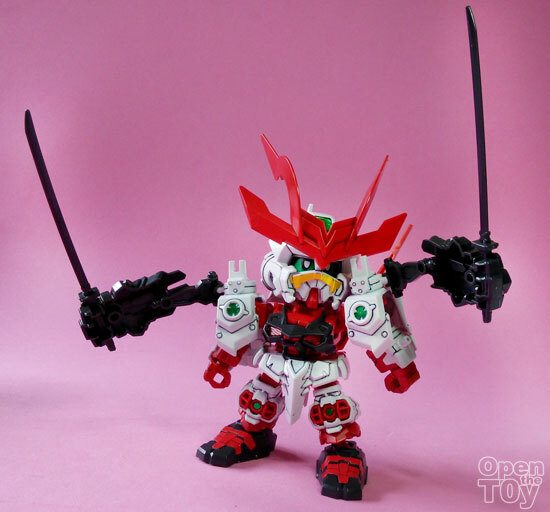 Personally I love the extended arms which can hold his two samurai swords. 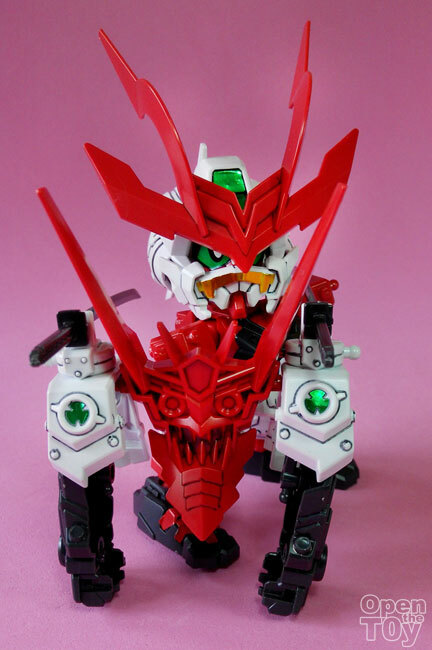 How I wished he has 4 Samurai swords. Don't you think he will look better for that?